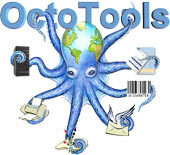 OctoTools PDF Extractor will extract data fields out of a PDF without use of any inaccurate OCR and will provide 100% accurate data values. Data values will be saved in CSV and/or XML format. Multiple extraction templates may be specified and checked to automatically process a stream of documents in different formats. Files may be emailed to recipient, saved/renamed, printed as single or multiple copies. Utilizing the CSV and XML data extracted the document may be stored in almost any Document Management System. A native interface to store in DocuWare is included at no cost.